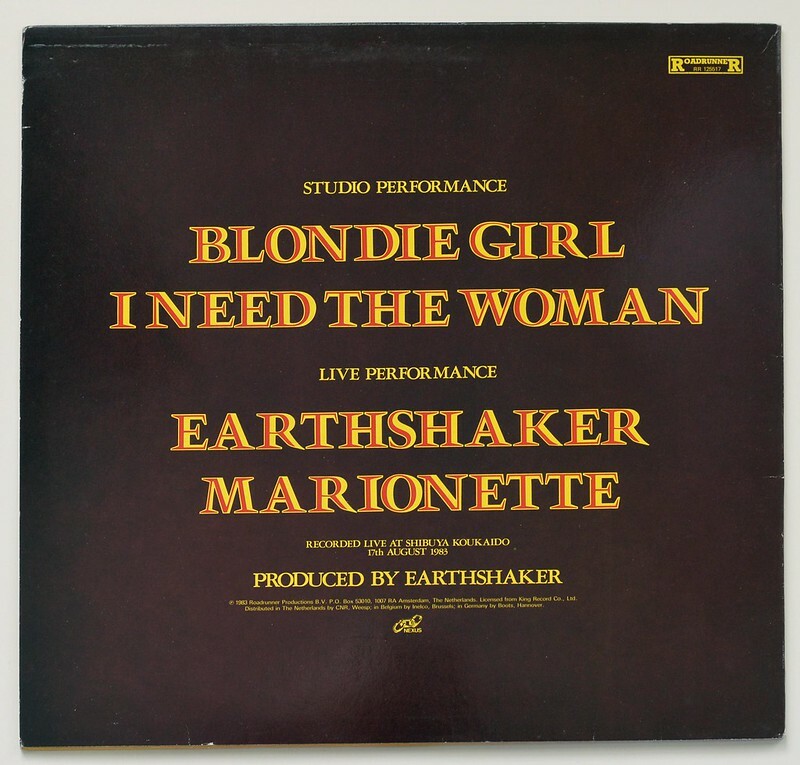 This mini-album "Blondie Girl" by the Japanese Heavy Metal band: "Earthshaker" contains two studio tracks ("Blondie GIrl", "I Need The Woman"= and two live tracks ("Earthshaker", "Marionette").The Live tracks have been recorded 17 August 1983 at Shibuya Koukaido. 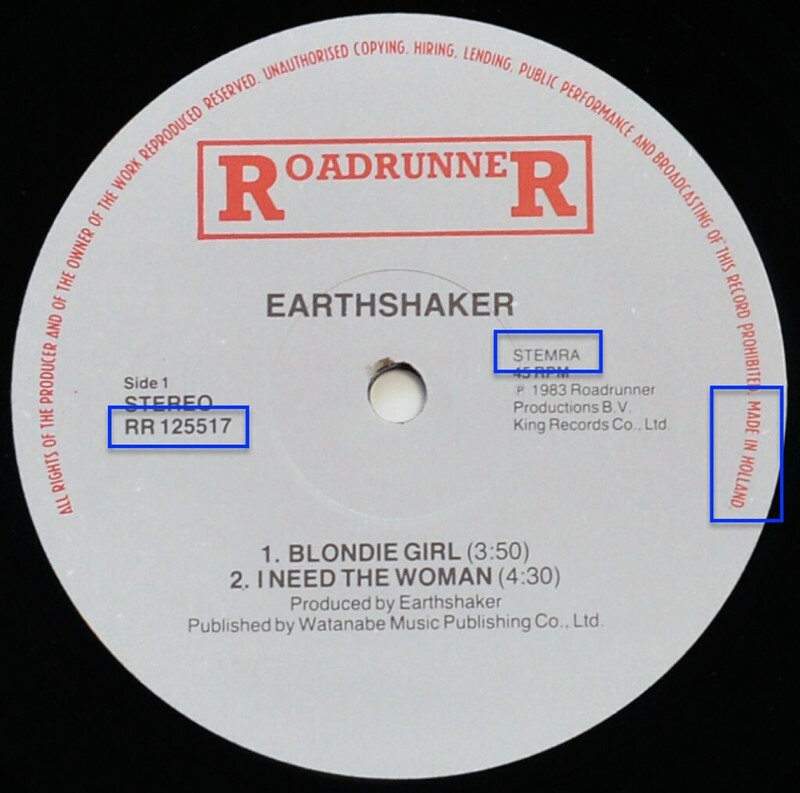 The album: "EARTHSHAKER - Blondie Girl" was produced by: Earthshaker. 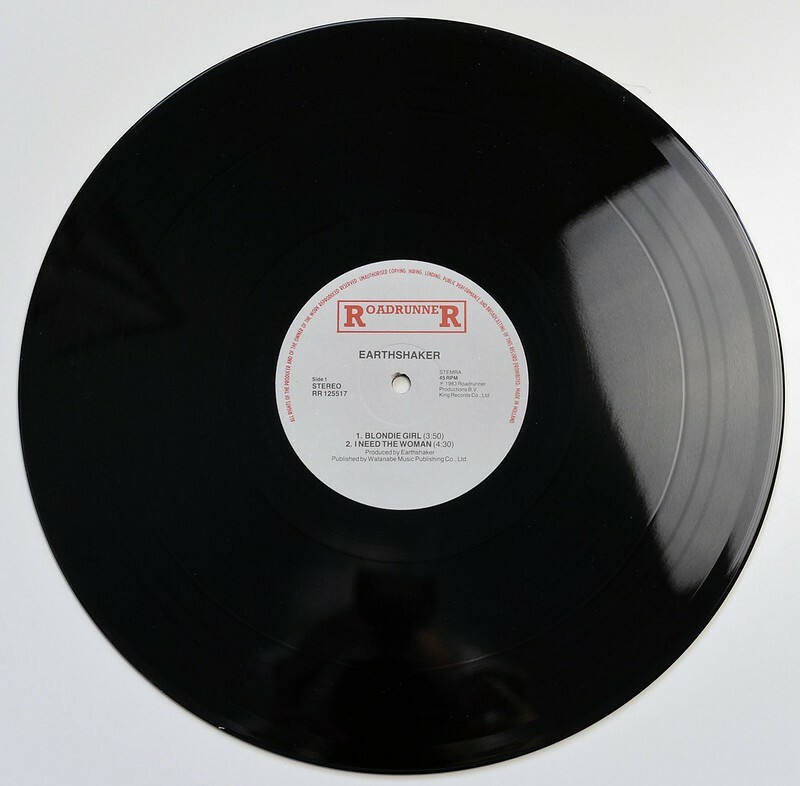 Sound Engineers: Seiichi Chiba, Masashi Got? Masashi Got? 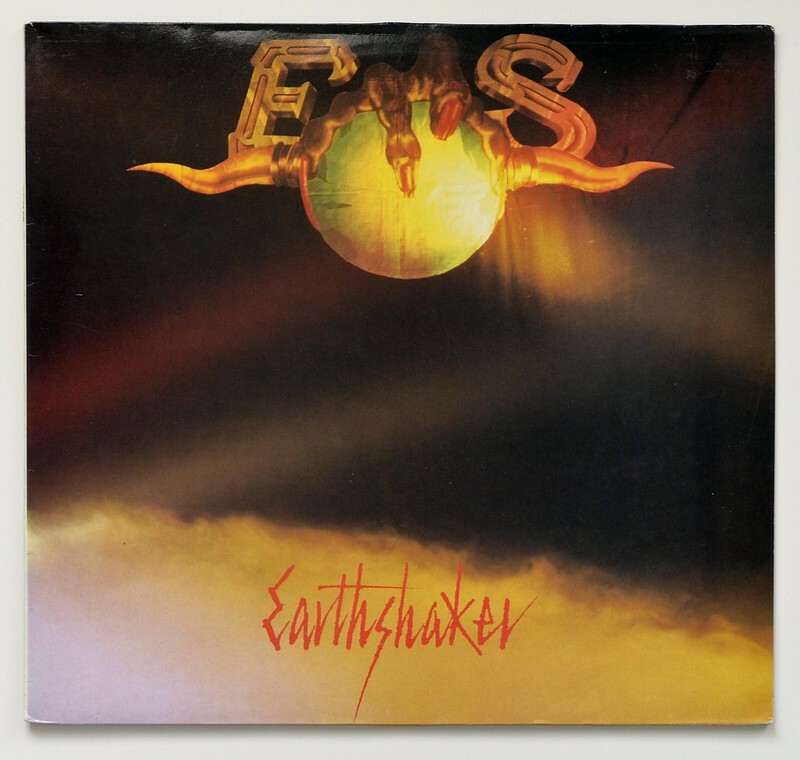 a Japanese Sound Engineer and has been engineering some of Japan's major heavy metal bands: Earthshaker and Loudness. Masashi Got? is a Japanese Sound Engineer and has been engineering some of Japan's major heavy metal bands: Earthshaker and Loudness. 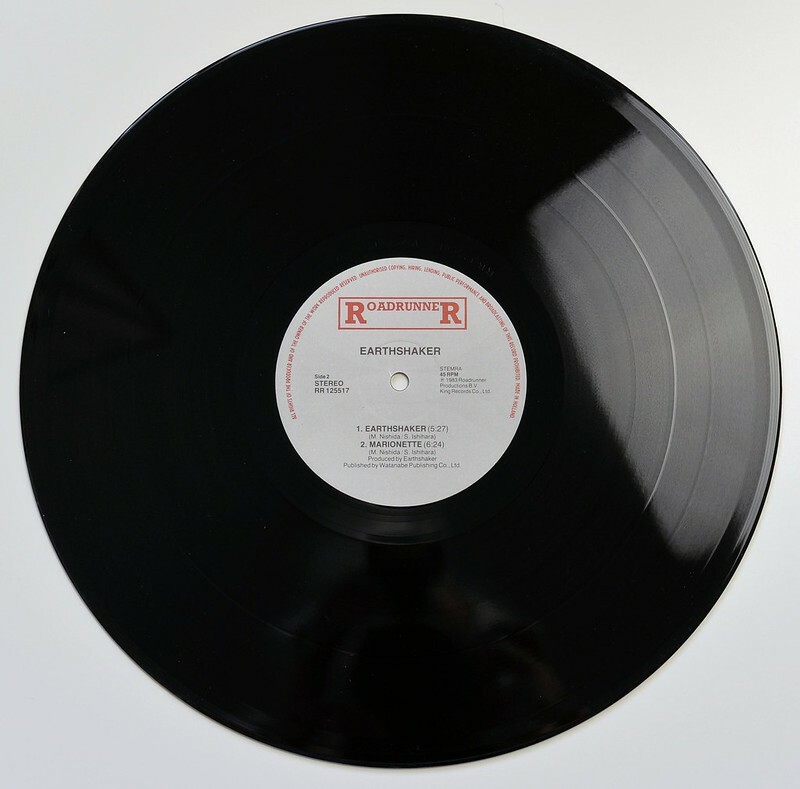 High Quality Photo of Album Front Cover "EARTHSHAKER - Blondie Girl"
Album Back Cover Photo of "EARTHSHAKER - Blondie Girl"
Complete Track-listing of the album "EARTHSHAKER - Blondie Girl"